Find events happening in the Summerlin area and around the Las Vegas Valley. 1. Dance festival: The 18th annual Las Vegas Dance in the Desert Festival is set for 10 a.m. July 29 and 30 at the Summerlin Library, 1771 Inner Circle Drive. Directed by Kelly Roth, the festival celebrates the memory and legacy of dancer/choreographer/pedagogue Murray Louis (1926-2016). Call 702-507-3860 or visit newdancefoundation.org. 2. 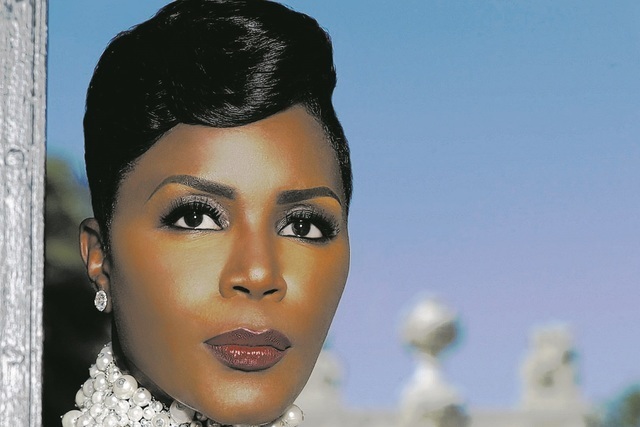 Stand-up comedy: Comedian Sommore is set to perform at 7:30 p.m. July 30 and 31 at the Suncoast, 9090 Alta Drive. Tickets start at $35. Visit suncoastcasino.com. 3. Movie Camp: From 1 to 3 p.m. Wednesdays, Red Rock Lanes at Red Rock Resort, 11011 W. Charleston Blvd., plans to host a family-friendly summer movie camp. The $15 entry includes rental shoes, two hours of bowling, hot dog, chips, soda and the movie. Aug. 3 will feature the 2015 “Cinderella,” Aug. 10 will feature “The SpongeBob Movie: Sponge Out of Water,” and Aug. 17 will have “The Good Dinosaur.” Call 702-797-7777. Rock Shot Bingo: Bingo with glow sticks and a DJ is planned for 9 p.m. July 28 and Aug. 25 at Red Rock Resort, 11011 W. Charleston Blvd., with doors set to open at 8 p.m. Buy-in is $25. The first nine games pay $100 each, and the final game pays $1,000. Each winner also receives an additional prize. Visit redrock.sclv.com. Beat the Heat Sunrise Hike: The 3-mile hike for ages 7 or older is planned for 7 a.m. July 28 at the Pine Creek Trail in Red Rock Canyon National Conservation Area. Space is limited, and registration is required. Call 702-515-5367. Introduction to Email: The class is slated for 11 a.m. July 28 at the Summerlin Library, 1771 Inner Circle Drive. Call 702-507-3860. Intro to the Internet: The class is set to be offered at 2 p.m. July 28 and Aug. 25 at the Sahara West Library, 9600 W. Sahara Ave. Call 702-507-3630. World Ranger Day: The all-ages event is planned from 10 a.m. to 1 p.m. July 29 at the Red Rock Canyon National Conservation Area Visitor Center. Outdoor rangers from various agencies will be on hand. No registration is necessary. Visit redrockcanyonlv.org/visitor-information. “Darin To Be Different”: Carmine Mandia is set to sing the music of Bobby Darin at 7 p.m. July 30 at the Starbright Theatre, 2215 Thomas W. Ryan Blvd. Tickets are $15. Call 702-240-1301. Live music and brunch: Tivoli Village has launched a new dining event series featuring live music from local performers, free drinks and brunch fare. Brio Tuscan Grille, 420 S. Rampart Blvd., is set to host from noon to 3 p.m. July 30 and 31 and Aug. 6 and 7 and 13 and 14. Outdoor terrace is available, and participants will receive one free mimosa when enrolling in Brio’s loyalty program. Visit tivolivillagelv.com. Art exhibit: The exhibit ”New Frontiers” by Valentin Yordanov is set to be on display during regular library hours Aug. 2 through Oct. 4 at The Studio at the Sahara West Library, 9600 W. Sahara Ave. Call 702-507-3630. Crafts for kids: Duct Tape Crafternoon is planned for children 12 to 17 at 3 p.m. Aug. 2 at the Sahara West Library, 9600 W. Sahara Ave. Supplies will be provided. Call 702-507-3630. Webcast Viewing at Stillpoint: The Center for Action and Contemplation’s CONSPIRE 2016 event is slated from 10 a.m. to 4 p.m. Aug. 3 and 10 at the Stillpoint Center for Spiritual Development, 8072 W. Sahara Ave., Suite D. Presenters are Father Richard Rohr and teachers Christena Cleveland, James Alison and Mirabai Starr. The cost is $15. Lunch is included, and the fee includes both days. Call 702-243-4040 or visit stillpointcsd.org/events. Yoga at the library: Yoga for Kids is set for 10:30 a.m. for ages 6 to 11 and 11:30 a.m. for ages 3 to 5 Wednesdays at the Sahara West Library, 9600 W. Sahara Ave. The next sessions are Aug. 3, 10 and 17. Seating is limited. Registration is required. Call 702-507-3630. E-book Info: The free session, Downloading e-books to Your iPad, Tablet, Kindle Fire, Nook Color, is set to be held for two sessions at 11 a.m. Aug. 4 and 10:30 a.m. Aug. 13 at the Summerlin Library, 1771 Inner Circle Drive. Bring your device. Call 702-507-3866. Madness Tennis Camp: The camp is planned for children 5 to 13 through Aug. 19 at the Darling Tennis Center, 7901 W. Washington Ave. Activities include swimming, movies, mini golf, laser tag, bowling and games. The professional coaching staff at the center will group the children according to age and ability and focus on stroke development, competitive strategies and more. The camp also includes three field trips a week. Full-day camp is from 9 a.m. to 3 p.m. for $200 per session. Half-day camp is from 9 a.m. to noon for $120 per session. Before care will begin at 8 a.m., and after care will run from 3 to 5:30 p.m. The full-day camp with before and after care is $255 per session and the half-day camp with before care is $155 per session. Drop-in rates are also available each day for $50 for a half day and $70 for a full day. Camp participants should bring lunch. Family discounts are available. Call 702-299-2100. Friday Music Series: Downtown Summerlin plans to host a free music series every weekend through Sept. 3. The schedule is 7 to 9 p.m. Fridays and 5 to 8 p.m. Saturdays. Expect a different musical act in the outdoor Dining Arroyo. All acts are free and open to the public. A sampling of some of the performers includes Liberio, best known for his appearance on Season 4 of NBC’s “The Voice;” J. Russo, singer, songwriter and acoustic musician; Santiago, a 15-year-old vocalist, pianist and guitarist; and Ryan Maloney, another former contestant on Season 6 of “The Voice.” Visit downtownsummerlin.com. “Desert Survivor!”: A new animal show is set to feature a rotating cast of critters including the desert night snake, desert tortoise, kangaroo rat, California kingsnake, desert tarantula, gopher snake, chuckwalla and more in 30-minute shows at 11 a.m. and 1 p.m. daily through Aug. 21 inside the Big Springs Theatre in the Origen Museum at the Springs Preserve, 333 S. Valley View Blvd. Shows are free with paid admission; springspreserve.org. Elvis tribute show: Three Elvis tribute artists, Ted Torres, Brandon Bennett and Jay Dupuis, are set to pay homage to Elvis in “One Night with The King” at 8:30 p.m. Aug. 6 and 7 at the Suncoast Showroom, 9090 Alta Drive. Tickets start at $19.50. Visit suncoastcasino.com. Teen input: The Teen Library Advisory Board plans to meet at 4 p.m. Fridays at the Rainbow Library, 3150 N. Buffalo Drive. The next dates are Aug. 5 and 19. Call 702-507-3710. Kids time: Footloose Fridays is planned for children 3 to 6 at 10:30 a.m. Aug. 5 and 19 at the Summerlin Library, 1771 Inner Circle Drive. The upbeat music and movement series involves scarves, shakers and rhythm sticks. Call 702-507-3860. Teen craft: End of Summer Scrapbook is slated for 3 p.m. Aug. 6 at the Summerlin Library, 1771 Inner Circle Drive. Call 702-507-3860. Story time: DUPLO Family Storytime for children 2 to 11 is scheduled for 3 p.m. Aug. 6 at the Rainbow Library, 3150 N. Buffalo Drive. Call 702-507-3710. Music program: Those Faching Tenors and Opera Innamorata is slated for 2 p.m. Aug. 7 at the Summerlin Library, 1771 Inner Circle Drive. The group is a vocal trio led by musical director Jack Gaughan. The event is free. Call 702-507-3860. Softball league signups: Fall adult softball leagues are set to begin Aug. 22. Registration will be Aug. 8-15. The cost is $475 per team, plus regular season umpire fees of $168, and games will be for seven weeks, played at Veterans Memorial Fields, 101 N. Pavilion Center Drive, and Lorenzi Park, 3333 W. Washington Ave. Call 702-229-4616. Variety show: “Variety at the Suncoast” is planned for 2 p.m. Aug. 8 and 22 at the Suncoast, 9090 Alta Drive. The show is free for B Connected members. Visit suncoastcasino.com. Toddler development: Family to Family Developmental Activities for children 2 to 5 are set for 11:30 a.m. Aug. 8 at the Rainbow Library, 3150 N. Buffalo Drive. Join staff members from Family to Family Connection as they demonstrate activities to parents and toddlers that will build important skills such as sitting still for a story time, following directions or playing with others. Call 702-507-3710. Kids’ program: Odd Squad — Be the Agent for children 5 to 8 is scheduled for 4 p.m. Aug. 9 at the Rainbow Library, 3150 N. Buffalo Drive. Call 702-507-3710. Medicare Information Sessions: A representative from Nevada State Health Insurance Assistance Program is slated to provide unbiased information and answers questions about Medicare, Prescription D and other plans, deductibles and co-pays, how to file a claim and more at 2 p.m. Aug. 9 at Rainbow Library, 3150 N. Buffalo Drive. The event is free. Call 702-507-3710. Cupcake decorating: Sweet Treats for Teens for children 13 to 17 is set for 4 p.m. Aug. 11 and 18 at the Summerlin Library, 1771 Inner Circle Drive. Call 702-507-3860. Stress reduction session: Mindfulness-Based Stress Reduction is planned at the Stillpoint Center for Spiritual Development, 8072 W. Sahara Ave., Suite D. An informational meeting is planned from 6 to 7 p.m. Aug. 11 with the 8-week course starting Aug 18. The event is open to all. Pre-registration is required. Call 702-243-4040. Symphony exhibit: The reception for the Vegas Symphony Art Exhibition is set for 7 p.m. Aug. 12 at the Sahara West Library, 9600 W. Sahara Ave. The public is invited to a reception for internationally renowned Chinese painter Yajie Cheng, currently residing in Singapore, who turns the focus of his Fantastic Realism style toward Las Vegas for this new exhibition. The event is free. Call 702-507-3631. Songs of the ‘70s and ‘80s: “California Dreamin’ ” is set for 7 p.m. Aug. 13 at the Starbright Theatre, 2215 Thomas W. Ryan Blvd. The cost is $20. Call 702-240-1301. Sin City Opera performances: The Opera In August concert series is scheduled for 2 p.m. Aug. 14 and 21 at the Summerlin Library Performing Arts Center, 1771 Inner Circle Drive. Call 702-507-3860 or email GingerL@SinCityOpera.com. Stress Reduction Workshop: Zen and the Art of Coloring is planned from 10 a.m. to noon Aug. 17 at the Stillpoint Center for Spiritual Development, 8072 W. Sahara Ave., Suite D. Call 702-243-4040. “Oh, What a Night!”: The musical tribute to Frankie Valli and The Four Seasons is scheduled for 7 p.m. Aug. 19 and 20 at the Starbright Theatre, 2215 Thomas W. Ryan Blvd. The cost is $20. Call 702-240-1301. Author to speak: Meet author and stroke survivor Robert Parker at 11 a.m. Aug. 20 at the Summerlin Library, 1771 Inner Circle Drive and hear about his journey of recovery. Call 702-507-3860. Dive-In Movie Night: The all-ages event is planned for 8 p.m. Aug. 20 at Pavilion Center Pool, 101 S. Pavilion Center Drive. Doors are set to open at 7:30 p.m. Watch “Despicable Me 2” on a big screen while floating in the pool. The cost is $4, which includes a Popsicle, while supplies last. Light refreshments also will be for sale. Call 702-229-1488. Kickball leagues: A coed adult kickball league for ages 18 or older is accepting registration Aug. 22-28, with play set to begin Sept. 8 at Veterans Memorial Fields, 101 N. Pavilion Center Drive. The cost is $250 per team, plus regular season umpire fees of $168, for a seven-week season. Call 702-229-4616. Art exhibit: “Infrared” by Sean Russell is set for regular library hours Aug. 23 through Oct. 9 at the Summerlin Library, 1771 Inner Circle Drive. The exhibit features Russell’s photographic transfers of Big Lake, Minnesota and the Red Rock National Conservation Area, merging nature and technology. Call 702-507-3860. Prayer Workshop: Join presenter Gard Jameson, Ph.D., for his planned Introduction to Centering Prayer Workshop set from 6:30 to 8:30 p.m. Aug. 24 at the Stillpoint Center for Spiritual Development, 8072 W. Sahara Ave., Suite D. Call 702-243-4040. Dash and Splash: The event is slated for 8 a.m. Aug. 27 at Pavilion Center Pool, 101 S. Pavilion Center Drive. Registration is set for 7:30 a.m. This event starts with a 1.5-mile run beginning at Pavilion Center Pool and winding through Veterans Memorial Park and concludes with a 300-meter swim at Pavilion Center Pool. There is no age limit, but participants must be able to swim 100 meters successfully. The cost is $15. Call 702-229-1488. “Duets … The Greatest Duets of All Time”: The show is slated for 7 p.m. Aug. 27 at the Starbright Theatre, 2215 Thomas W. Ryan Blvd. The cost is $20. Call 702-240-1301. Hickory Wind: The group is set to perform “A Good Old Fashioned Hootenanny!” at 7 p.m. Aug. 31 at the Starbright Theatre, 2215 Thomas W. Ryan Blvd. Tickets are $12. Call 702-240-1301. Dream exploration: Introduction to Dreams is slated from 6:30 to 9 p.m. Aug. 31 at the Stillpoint Center for Spiritual Development, 8072 W. Sahara Ave., Suite D. Call 702-243-4040. Cycling race: The 10th annual Clif Bar CrossVegas cyclo-cross race is scheduled for Sept. 21 at the Desert Breeze Soccer Complex, 8275 Spring Mountain Road. It is the largest cyclo-cross race event in the U.S., attracting 12,000 spectators and racers from 20 nations. Visit crossvegas.com. Reading with Rascal: The reading events are scheduled from 10 a.m. to noon Sept. 10, Oct. 8, Nov. 12 and Dec. 10 in the multipurpose room of Desert Spring United Methodist Church, 120 N. Pavilion Center Drive. Children of all ages are invited to read to registered therapy dogs. Call 702-561-4143. Triple Dare Running Kids’ Fall Race: The event is planned for Oct. 8 at Bruce Trent Park, 1600 N. Rampart Blvd., and includes a 5K competitive, 5K non-competitive and 1-mile fun run. A Resolution Run is planned for Dec. 31 at Kellogg-Zaher Park, 7901 W. Washington Ave., with 5K and 10K runs. Visit tripledareruns.com. Older adults can learn more about knitting and crocheting at a program that takes place each from 9 a.m. to noon Mondays at Southwest Medical Lifestyle Center — West, 8670 W. Cheyenne Ave., Suite 105. Call 702-677-3055. Older adults have the opportunity to play pinochle, dominoes and other games from 1 to 5 p.m. Tuesdays at Southwest Medical Lifestyle Center — West, 8670 W. Cheyenne Ave., Suite 105. Call 702-677-3055. Older adults can learn more about computers at a class offered from 10 to 11:30 a.m. Mondays and 1 to 2:30 p.m. Fridays at Southwest Medical Lifestyle Center — West, 8670 W. Cheyenne Ave., Suite 105. Call 702-677-3055. The Moms Club of Las Vegas Summerlin is welcoming new members. In addition to weekly playdates, Moms Club also hosts two to three events per week for all ages and typically include park playtime, factory tours and farmers markets. The club offers moms a chance to relax in a kid-free setting with refreshments and adult conversation. Moms Club Las Vegas Summerlin is open to all moms, including expectant mothers. Kids’ ages range from newborn to elementary school; momsclublasvegas.com or 541-350-1599. The Las Vegas Civil War Roundtable meets at 7 p.m. the fourth Tuesday of the month at Charlie’s Lakeside, 8603 W. Sahara Ave. Email secesh@lvscv.com or 702-858-9963.
e Trent Park, 1600 N. Rampart Blvd. ; 702-562-2676. An improv and comedy troupe is scheduled to meet and rehearse from 6 to 7 p.m. Mondays at Five Star Tavern, 9201 Del Webb Blvd., at the Palm Valley Golf Course clubhouse. Spectators are welcome; 818-261-4566 or 702-363-5330. The Centennial Las Vegas Genealogy Society is scheduled to meet at 6 p.m. on the second Monday of every month inside the community room of Holy Spirit Lutheran Church, 6670 W. Cheyenne Ave. The group is dedicated to genealogy and ancestry research; clvgs7.wix.com/clvgs. Ward 2 Walkers meet at 7 a.m. Tuesdays and Thursdays at the Hualapai Trailhead Park, just north of Alta Drive on Hualapai Way. Join Las Vegas City Councilman Bob Beers for exercise and conversation. It is free and open to the public; 702-229-2144. Current Events West, a discussion group, plans to meet from 10 a.m. to noon Tuesdays at the Jewish Community Center of Southern Nevada, 8689 W. Sahara Ave., Suite 180. It is open to all; 702-794-0090. The Las Vegas Kiwi Club for retired flight attendants meets for lunch the third Wednesday of each month. Members are from American Airlines, TWA, Trans Caribbean, Reno Air, Ozark and USAir. Times and locations vary. Visit thekiwiclub.org or call 702-896-5496.The Rotary Club of Las Vegas-Summerlin invites the Summerlin business community to breakfast and fellowship Tuesdays at 7:15 a.m at TPC Summerlin, 1700 Village Center Circle; summerlinrotary@rotarysummerlin.org. Monthly bladder cancer support group meetings are planned for the fourth Wednesday of each month from 6 to 7:30 p.m. at Summerlin Hospital, 657 N. Town Center Drive, in meeting room 1a. Patients and survivors of bladder cancer and their spouses, partners and caregivers are invited for informational and support meetings. RSVP to Don or Teri at donrosiew@gmail.com or terikoehler@gmail.com. A cardiac support group is slated to meet at 10 a.m. the third Wednesday of each month in Classroom 1A at Summerlin Hospital Medical Center, 657 N. Town Center Drive; 702-233-7470. A cardiac support group is set to meet from 11:30 a.m. to 12:30 p.m. the fourth Tuesday of the month at Spring Valley Hospital, 5400 S. Rainbow Blvd. RSVP to702-388-4888. This support group provides peer-to-peer patient support and education, including meeting others living with heart disease, learning how to live with heart disease, and having your questions answered by knowledgeable staff members. A stroke survivors support group is set to meet from 3 to 4 p.m. the fourth Thursday of the month at Summerlin Hospital Medical Center, 657 N. Town Center Drive; 702-233-7061. A gynecological cancer support group is set to meet from 5:30 to 6:30 p.m. the third Thursday of the month at Summerlin Hospital Medical Center, 657 N. Town Center Drive. The group is facilitated by Branda Kent, Nevada chapter leader for the Cervical Cancer Coalition; 702-233-7751. A stroke support group is set to meet from 11 a.m. to 12:30 p.m. the third Friday of each month at Spring Valley Hospital, 5400 S. Rainbow Blvd., especially for adults 55 or younger but everyone is welcome; 702-853-3162. The Jewish Singles Social Club for men and women plans its next meeting for 6:30 p.m. first Wednesday of the month at the Jewish Community Center of Southern Nevada, 8689 W. Sahara Ave., Suite 180. It is free and open to the public; 702-233-8618 or 702-243-1761. The free West Side Photo Club plans to meet from 7 to 9 p.m. the first and third Thursday of each month at Summerlin Hospital, 657 N. Town Center Drive. It is looking for active, experienced photographers willing to share their knowledge and passion for digital photography. The varied meeting agenda promotes the technical, artistic and social aspects of photography. Email westsidephotoclub@yahoo.com. The German Friendship Club is set to meet at 7 p.m. the fourth Thursday of each month at the Trails Community Center, 1910 Spring Gate Lane; 702-254-2590. Named for the 10-13 call for an officer who needs assistance, the Las Vegas 13 Club meets the last Thursday of most months (except November, when it meets the third Thursday) at 7 p.m. at O’Aces Sports Bar, 4955 S. Decatur Blvd. The club is made up primarily of retired New York Police Department officers and other law enforcement officers. No meeting is planned for December; Visit lvten13.com, call 702-349-5313 or email trimbolipeterd@yahoo.com. The nonprofit Las Vegas Crafters Guild meets at 7 p.m. the fourth Thursday of the month at Michael’s, 7195 Arroyo Crossing Parkway. Meetings are open to the public and consist of a short business portion, followed by an educational program; 702-260-0932 or visit lasvegascraftersguild.com. The Westside Newcomers Club plans its monthly coffee event for prospective members at 9:15 a.m. the first Wednesday of each month at Temple Sinai, 9001 Hillpointe Road. The coffee event is for those new to the area; westsidenewcomersclub.org or email wncmbrship@yahoo.com. The Las Vegas chapter of the American Merchant Marine Veterans invites past and present Merchant Mariners to its meetings, set for 11 a.m. the third Friday of every month except Aug. at the Red Rock Moose Club, 4970 W. Charleston Blvd. Call 702-732-0888. For those 50 or older, Seton Singles Meetings are planned at 5:30 p.m. the first Saturday of the month at St. Elizabeth Ann Seton Catholic Church, 1811 Pueblo Vista Drive. Gatherings include food, dine-outs, movie nights, card games or game nights, theatrical productions and other local activities. Email setonsingleslv@gmail.com. Sports Talk, a discussion group, is set to meet at 9:30 a.m. Fridays at the St. Tropez Buffet at the Suncoast, 9090 Alta Drive. The group is open to all; 702-794-0090. The Moms Club of Las Vegas Summerlin is recruiting new members. In addition to weekly play dates, Moms Club also hosts two to three events per week for all ages and typically include park playtime, factory tours and farmers markets. The club offers moms a chance to relax in a kid-free setting with refreshments and adult conversation. Moms Club Las Vegas Summerlin is open to all moms, including expectant mothers. Kids’ ages range from newborn to elementary school; momsclublasvegas.com or 541-350-1599. Free blood pressure screenings are scheduled from 10 to 11 a.m. Tuesdays at the MountainView Hospital Medical Office Building H2U, Suite 114, 3150 N. Tenaya Way. Registration is required; 702-233-5474 or mountainview-hospital.com. Atria Seville, 2000 N. Rampart Blvd., plans to offer a chair yoga and meditation class for seniors from 2 to 3 p.m. the second and fourth Wednesday of the month. The class is led by master Mitch Menik and is open to the public. Sign in at the front desk; atriaseville.com or 702-804-6800. Free Fly Fishing Workshops led by Bill Teresco are set to be offered from 6 to 7 p.m. for beginners and from 7:15 to 8:15 p.m. for advanced students Thursdays at Bass Pro Shops, 8200 Dean Martin Drive; basspro.com or 702-730-5200. The free MS Stretch & Flex class for those with multiple sclerosis and H2U members ($5 fee for all others) is planned from 10:30 to 11:30 a.m. Thursdays at the MountainView Hospital Medical Office Building H2U, Suite 114, 3150 N. Tenaya Way. Registration is required; 702-233-5474 or mountainview-hospital.com. Mindfulness and Insight Meditation is planned for 4:15 p.m. Sundays at the Sahara West Library, 9600 W. Sahara Ave.; 702-507-3630. Matt Hennager plans to offer free guitar lessons for beginners from noon to 1 p.m. the first three Sundays of each month at the Sahara West Library, 9600 W. Sahara Ave. Arrive 15 minutes early to tune your guitar; 702-507-3630 or 702-533-3611. Grace Presbyterian Church’s Hualapai campus, 4590 S. Hualapai Way, plans to host a free movie night at 6:30 p.m. the second Friday of every month. Doors are set to open at 6 p.m., and popcorn and snacks will be provided; 702-384-4554. The Birds of the Air Food Pantry, operating out of Epic Church, 8755 W. Warm Springs Road, is set to provide free groceries to those in need from 10 a.m. to noon the second Saturday of the month. ZIP codes served are 89113, 89118, 89139, 89141, 89148, 89178, and 89179; Email birdsoftheair@epiclv.org. Central Christian Church’s Summerlin congregation is scheduled to meet at Faith Lutheran Middle School and High School, 2015 S. Hualapai Way, at 9 a.m., 10:30 a.m. and noon Sundays; centralonline.tv/summerlin. Free parent and child tennis clinics by the United States Tennis Association Nevada are planned for the first Sunday of every month for children 8 or younger in the Children’s Play Area at Tivoli Village, 440 S. Rampart Blvd. The clinic for 3- to 5-year-olds is planned from 1:30 to 2 p.m. and for 6- to 8-year-olds from 2 to 2:30 p.m.; tivolivillagelv.com. The Fresh52 farmers market is open for the season at Tivoli Village, 440 S. Rampart Blvd., with new vendors. The market is planned from 9 a.m. to 2 p.m. Saturdays. On select dates, guests can also enjoy special events, live entertainment, chef demonstrations and free arts and crafts for kids. Ride a bicycle to the market and receive a 10 percent discount;tivolivillagelv.com. A Home 4 Spot Animal Rescue plans to host pet adoptions from noon to 3 p.m. the second, third and fourth Sundays at Petco, 10000 W. Sahara Ave. Adoptions are scheduled from noon to 3 p.m. the first Sunday at Shaggy Chic Pet Salon at Tivoli Village, 302 S. Rampart Blvd. ; ahome4spot.com. The monthly Third Thursdays event is planned from 5:30 to 8 p.m. the third Thursday of each month at Village Square, 9400 W. Sahara Ave., to provide the community with fun activities and promotions at the shops and restaurants in the center. A car show and arts and crafts vendors are planned, along with raffle prizes and music; govillagesquare.com or 702-625-4108. Fit4Mom plans to host Stroller Barre classes from 9 a.m. to 10 a.m Mondays, Wednesdays and Saturdays at Downtown Summerlin, 1980 Festival Plaza Drive; downtownsummerlin.com or call 702-832-1000. Downtown Summerlin is offering a farmers market curated by Kerry Clasby, also known as The Intuitive Forager, from 9 a.m. to 2 p.m. Saturdays at the Pavilion on Festival Plaza Drive between Rosemary and Oval Park drives. The market features 90 percent organic produce and plans to host cooking demonstrations, live music, classes dedicated to ecological stewardship and tasting events; downtownsummerlin.com. The U.S. Tennis Association plans to host free tennis clinics for children ages 3 to 10 from 11 a.m. to 2 p.m. Saturdays in the Macy’s Court at Downtown Summerlin, 1980 Festival Plaza Drive. The clinics are designed to introduce the sport to children and teach basic skill sets; downtownsummerlin.com or 702-832-1000. Addison’s Lounge in the Rampart Casino, 221 N. Rampart Blvd., plans to host free weekly live entertainment; 702-507-5900. J.C.’s Irish Sports Pub inside the Rampart Casino, 221 N. Rampart Blvd., plans to host free weekly live music 9:30 p.m. to 12:30 a.m.; 702-869-7725. The Rampart Casino’s Round Bar, 221 N. Rampart Blvd., plans to present live music throughout the week; 702-507-5900. Bonkerz Comedy Club inside Addison’s Lounge at the Rampart Casino, 221 N. Rampart Blvd., has acts slated for 7 p.m. Thursdays. Admission is free and is offered on a first-come, first-served basis. Doors open at 6 p.m.; 702-507-5980. Red Rock Resort, 11011 W. Charleston Blvd., plans to feature Mahi Crabbe from 5 to 10 p.m. Mondays and Tuesdays in T-Bones Chophouse. Cali Tucker is set to perform from 5 to 10 p.m. Wednesdays and Thursdays. Steven Raper is set to perform from 6 to 11 p.m. Fridays and Saturdays. Guests must be 21 or older; redrock.sclv.com. Line dancing is planned from 2 to 4 p.m. Thursdays in Rocks Lounge at Red Rock Resort, 11011 W. Charleston Blvd., for guests 21 or older; redrock.sclv.com. Live music is scheduled from 8 to 11 p.m. Fridays in Hearthstone at Red Rock Resort, 11011 W. Charleston Blvd. ; redrock.sclv.com. Live music is scheduled from 9 p.m. to 1 a.m. Fridays and Saturdays in Onyx Bar at Red Rock Resort, 11011 W. Charleston Blvd. Guests must be 21 or older. Rick Duarte is scheduled from 9 p.m. to 1 a.m. Fridays and Tony Venniro from 9 p.m. to 1 a.m. Saturdays. Guests must be 21 or older; redrock.sclv.com. Live music is scheduled from 11 p.m. to 2 a.m. Fridays and Saturdays in Rocks Lounge at Red Rock Resort, 11011 W. Charleston Blvd. Guests must be 21 or older; redrock.sclv.com. Lucille’s at Red Rock Resort, 11011 W. Charleston Blvd., plans to host live entertainment from 7 to 11 p.m. Saturdays; redrock.sclv.com. The Bingo Room at Red Rock Resort, 11011 W. Charleston Blvd., plans to feature live music for guests 21 or older from 10 a.m. to noon Sundays; redrock.sclv.com. Friday Night Band Night is set to present live rock, blues or country bands at 7:30 p.m. Fridays at The Summit, 2215 Thomas W. Ryan Blvd. Admission is $10 with a one-drink minimum; 702-240-1311. Las Vegas Accordion Club members Walter Piortrowski, Etta Baykara, Betty Guthrie, Mary Kaplan and Bob Schoffstall are scheduled to perform from 1 to 4 p.m. every third Saturday at the Food Factory, 4140 S. Durango Drive; facebook.com/LVAccordions. Bank of America invites cardholders to explore Southern Nevada museums free as part of the Museums on Us program the first weekend of every month. Anyone with a U.S. Trust, Merrill Lynch or Bank of America debit or credit card can visit the Discovery Children’s Museum, 360 Promenade Place; Las Vegas Natural History Museum, 900 Las Vegas Blvd. North; or the Springs Preserve, 333 S. Valley View Blvd., free. Present a debit or credit card to receive free museum admission; museums.bankofamerica.com.